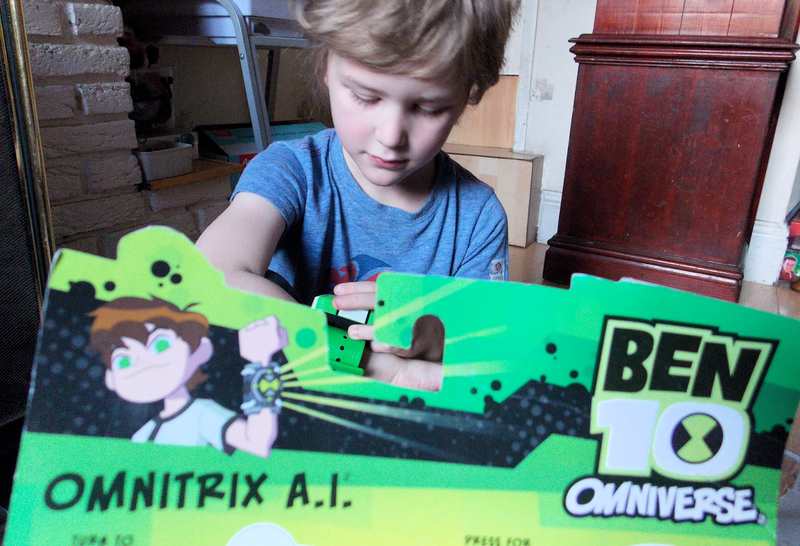 We were sent the Ben10 Omnitrix AI to review from Bandai, which pleased Mikey no end. 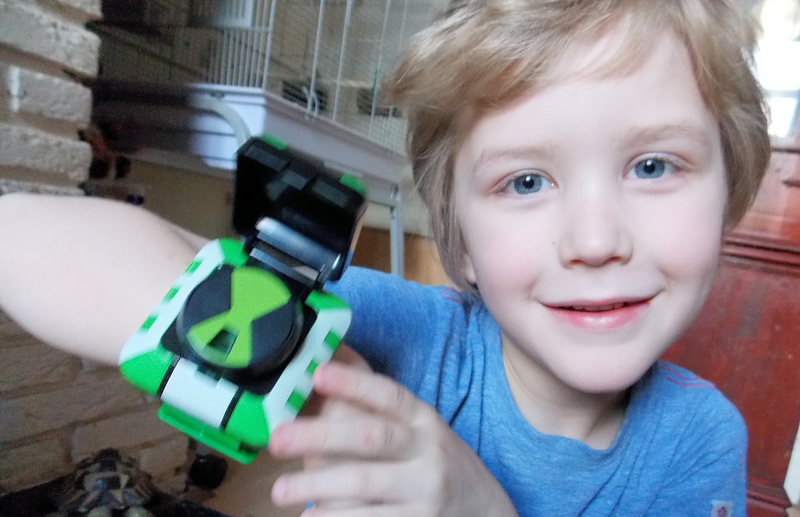 Ben10 is a popular animated series, which stars a 10 year old boy -Ben Tennyson, who has a watch-like alien device called the Omnitrix which enables Ben to transform into various different aliens each with their own powers. 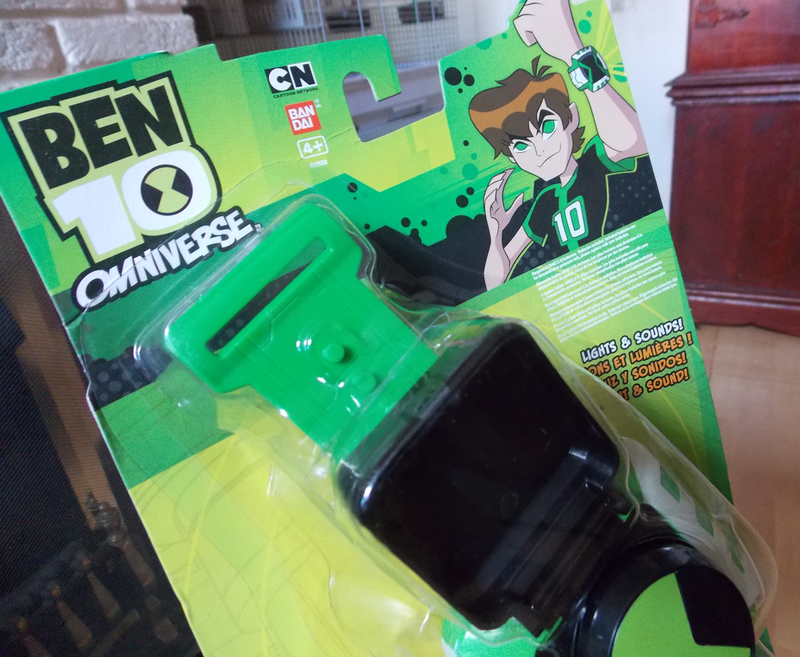 Ben10 has been popular for several years, and new for 2014 is the Omniverse series on Cartoon Network, to match the new series is a brand new range of toys which includes new character figures and play sets. 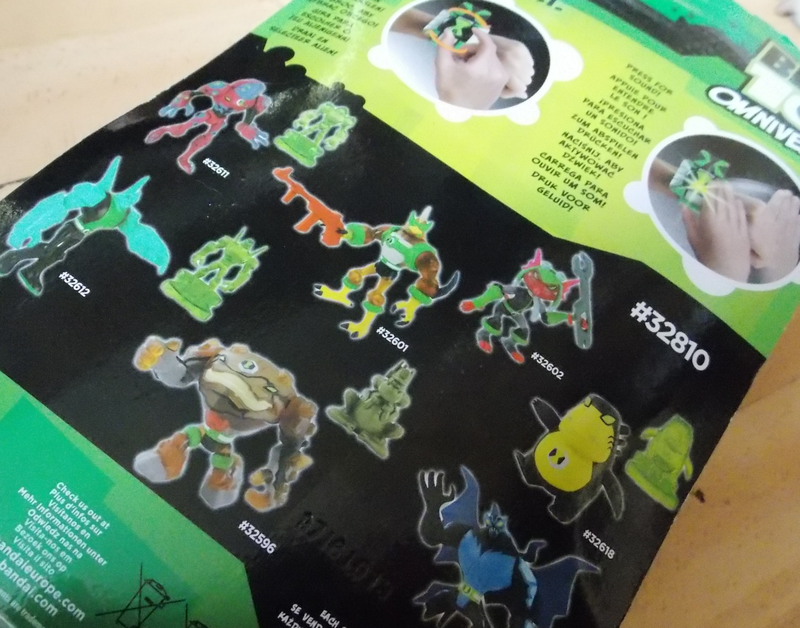 The Omnitrix AI is also in the new release for 2014 The Omnitrix AI is the cheaper of the Omnitrix toys available, priced around £12.99 - £14.99 it is a great choice for young Ben10 fans. 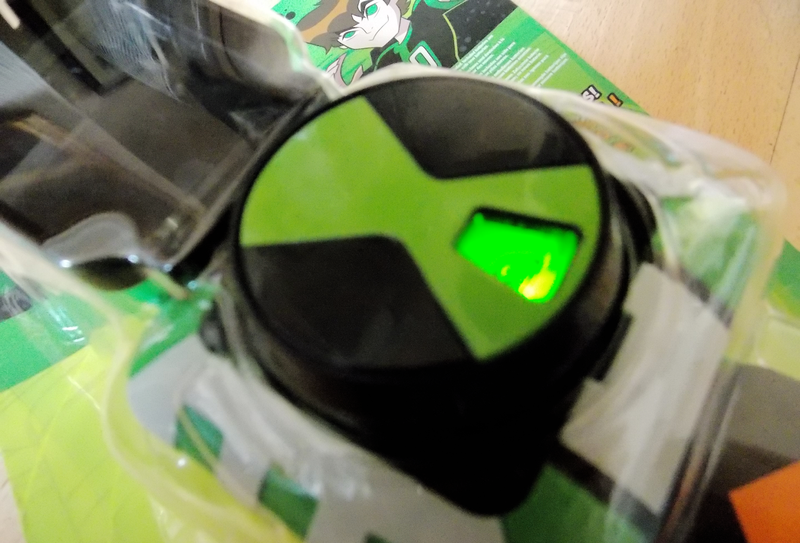 The Omnitrix AI has light and sound features with a twist dial to select from the 10 alien characters from the show. The recommended age is 4 and above, although I can see no reason why a younger child would not be able to enjoy this toy. 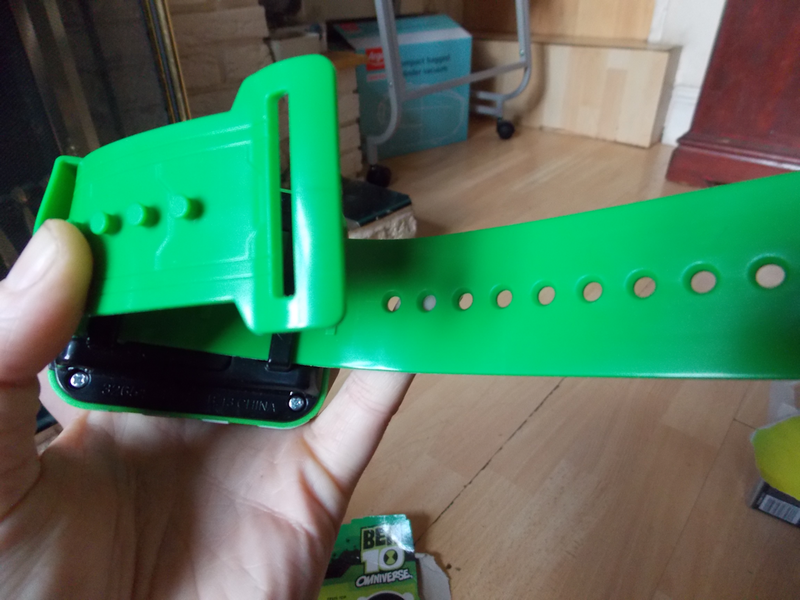 The plastic wrist strap is quite chunky but does have plenty of adjustable fasteners, it fit Mikeys arm easily and could of equally fit an adults wrist. 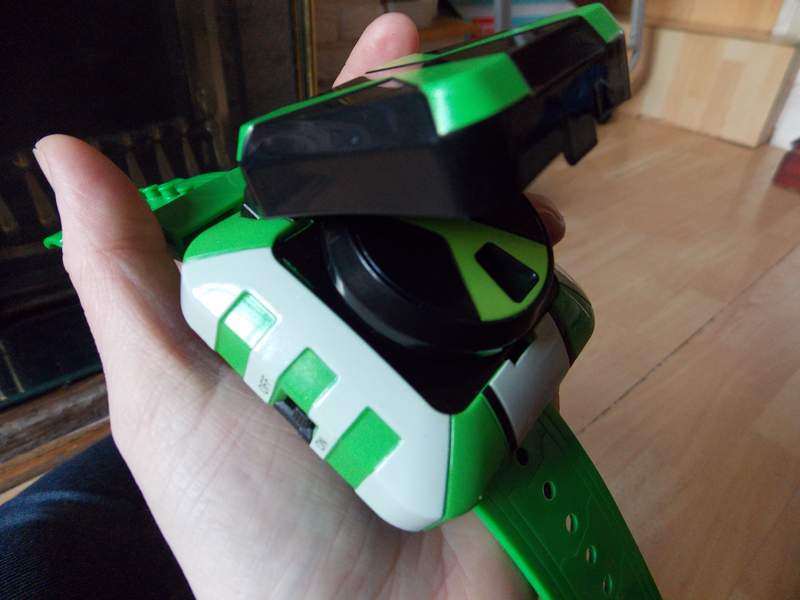 The Omnitrix itself is also a chunky piece, coloured to match the design from the 2014 Omniverse show. The Omnitrix centre can be slid off the strap and has an on/off switch on the side, with a lift up flap which reveals the twist dial where you can select the alien of your choice. The aliens are displayed on a small screen and as you twist the dial a beep sound is played and a green light shines. 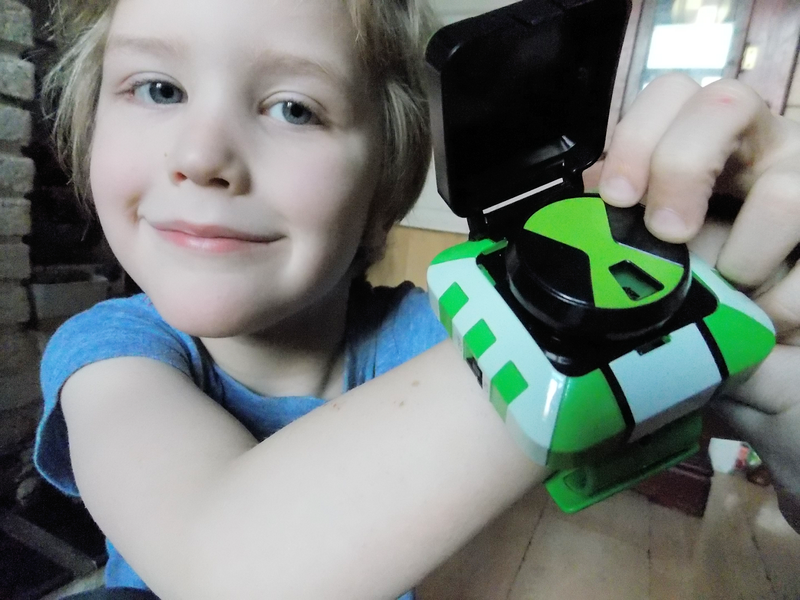 Overall Mikey likes the Omnitrix AI and it does seem a sturdy toy which I am sure will last alot of rough play. For the price tag I think it is reasonable priced which I am sure would please any Ben10 fan, couple it with a white T shirt and green trousers and you have the perfect Ben10 dressing up outfit. 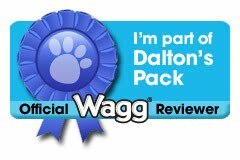 Please do watch our youtube video review below.